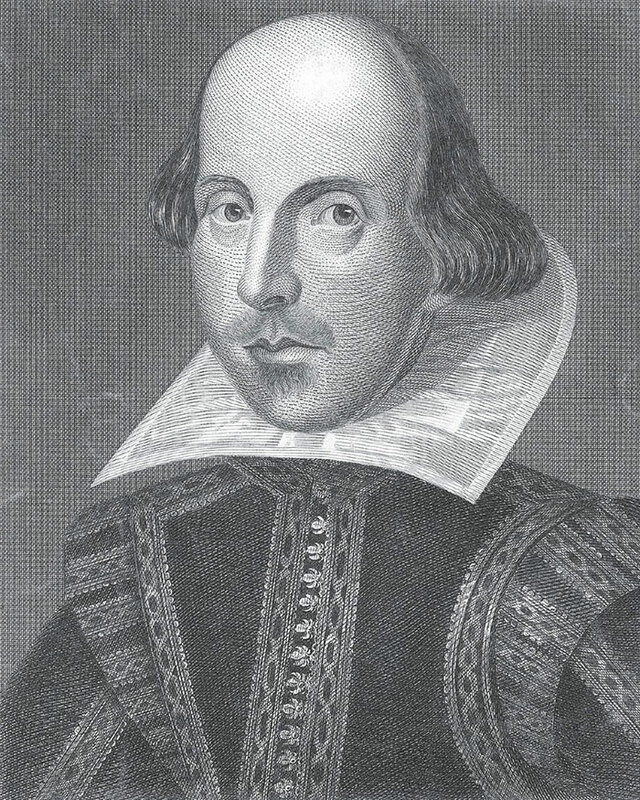 The subtitle of former Harvard president Neil L. Rudenstine ’s new book, Ideas of Order , announces that it is “A Close Reading of Shakespeare’s Sonnets.” But it is not really a “close reading” in the usual sense—and that is the heart of its strengths. Rudenstine instead interprets the sonnets as a sequence, paying special attention to how the poet develops his increasingly pessimistic concerns about the honesty and durability of romantic love in these 154 lyric poems. “Close reading” was the favored term of the New Critics in the 1930s to describe and denote the method of interpretation they advocated to replace the philological criticism and belletrism then dominating the study of literature. They wanted to study poetry not just as an instance of language, but as art. However, they insisted that literary study should be more like a science than like mere book-reviewing, with a rigorous consideration of a poem as a self-enclosed object possessing its own internal coherence. At its best, close reading is the literary equivalent of microscope work in a biology lab: scrutinizing every element of a poem, no matter how minute, and its impact on the poem’s range of meaning. The technique, which has long outlasted the doctrine that gave it rise, has forcefully shaped the way poetry is taught in the English-speaking world in both high schools and colleges. Entire class sessions are often spent on a handful of short lyric poems. It is somewhat unusual to find a syllabus assigning an entire volume of poetry by a single poet that is taught as a continuous whole rather than as a set of discrete texts. This tendency to focus on close reading has also affected and perhaps distorted how we read lyric cycles, including the Elizabethan sonnet sequences, Shakespeare’s in particular. One symptom is that none of the major anthologies used for survey courses reproduces the sonnet cycles of Spenser, Sidney, and Shakespeare in full. Instead, they are presented through a kind of “greatest hits” approach that further pushes students toward understanding them not as continuities, but as collections. Within this approach lies a vestigial New Critical assumption that the proper unit of decipherment is not the sequence, but the sonnet, and that one can treat a given sonnet as an aesthetic whole, independent of the sequence of which it is a part. Rudenstine’s book consists of an interpretive essay, followed by a complete, unannotated text of the sonnets. In the essay, he sketches a loose “road map” for the sonnets that charts the progression of the poet through a succession of emotional stages and romantic situations, and traces a kind of “plot” through the cycle. Even casual Shakespeareans know that the majority of the sonnets are addressed to an attractive young man, urging him to have children, before they turn to a “dark lady” late in the sequence. But Rudenstine points out that many discernible episodes intervene. At sonnet 21, insecurities creep in. In 33-36, the young man betrays the poet; qualified pardon ensues, followed by separation, and then another, more severe betrayal, followed by plaintive condemnation. A horrible, long separation seems to fall between 96 and 97; after an uneasy reconciliation, the poet himself is unfaithful to the young man beginning at 109. Finally, both the young man and the poet fall under the sway of the dark lady. Rudenstine is far from dogmatic about this schema, noting that it is only one possible way to carve up the sequence, and that it does not account for the scattering of sonnets that seem to stick out at loose ends. But his modesty belies how convincing—and useful—his divisions are. But at only slightly more than 150 pages, his essay can hardly close-read every sonnet, or even a choice few. Rudenstine sticks to drawing out the evidence he needs for whatever larger point he is making—a strategy more likely to provide a helpful compass to a confused reader than would compulsively unstitching every single seam in the poem’s syntax. This deliberately thin, fast book seems intended to complement rather than duplicate the labors of Porter University Professor Helen Vendler ’s thorough and imposing 1997 study, The Art of Shakespeare’s Sonnets, which averages three pages per sonnet and does aim to provide detailed commentary for each poem. Ideas of Order would be a worthwhile endeavor even if it only facilitated the understanding of readers new to the sonnets. But it does more than that, though its author soft-pedals his book’s interpretive climax. By approaching these poems as a portrait of an evolving mind, Rudenstine arrives at a reading of the sequence as a work that winds through mounting emotional pain to a bleak and sober terminus. Anyone who has read the sonnets in full, even in a cursory manner, is aware that they are rarely the expressions of unqualified and worshipful praise that the popular imagination often takes them to be. They voice stubborn insecurity; jealousy that putrefies into hatred; anxiety about love in the shadow of death; and, most troubling, a crisis of confidence in the ability of language to communicate either sincerely or enduringly. Ideas of Order argues that, far from being overcome, these concerns acquire validity and intensity as the work advances. By the end, “Time has become a more powerful adversary, and in the last celebratory poems to the friend, beauty ceases to play any part. Indeed, even the ‘eternizing’ capacity of poetry itself is no longer mentioned.” The poet emerges broken of his commitment to honesty and beauty, and well versed in suspicion and duplicity. This view of the sonnets should give us pause. It implies that the most famous poems—“Shall I compare,” “When in the sessions,” “That time of year,” “Let me not to the marriage”—have by the end of the sequence been repudiated by the poet as expressions of a less mature optimism. That makes them no less potent distillations of powerful emotions, of course. But it should make us doubt whether any one sonnet—particularly any early sonnet—should be taken as Shakespeare’s last word on love, truth, beauty, or poetry. As in so many of the plays, the fatalistic and doubt-wracked conclusion of the sonnets tears apart the repertoire of concepts that advanced us to the ending in the first place. For those who have the time, the best manner of proceeding is probably to read the sonnets once in full; then to read Rudenstine’s essay, referring to the poems as needed; and finally to read the sonnets once more straight through, with the benefit of his structural insights in mind. Readers seeking more should consult Vendler’s commentary or poet Don Paterson’s chatty Reading Shakespeare’s Sonnets. But Ideas of Order is an ideal introductory companion to the sonnets—more detailed than the Arden or Norton introductions and footnotes, but less overwhelming than the line-by-line commentaries. And it also has more than a few sharp observations and arguments for any veteran of the sonnets to consider. Spencer Lenfield ’12, a former Ledecky Undergraduate Fellow at this magazine , is a Rhodes Scholar studying classics and philosophy at Oxford.